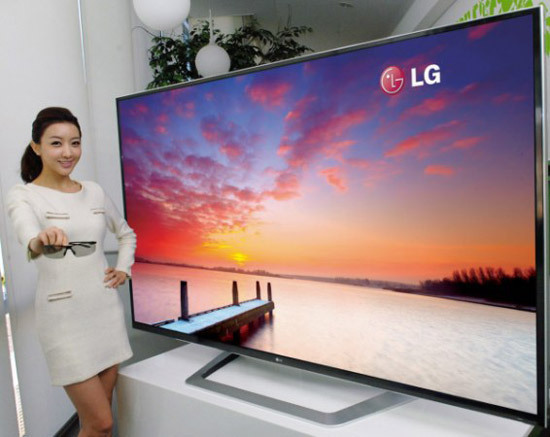 Earlier, we posted about 55 inch OLED from LG will be presented at CES 2011. Looks LG has not felt fulfilled with it. In addition to this 55 inch OLED, LG is planning to introduce 84-inch "ultra definition" OLED (3840x2160)TV at Las Vegas.With this news, I am sure LG competitors will be upgrading their product requirement specifications. Being ultra definition product, it has build-in SmartTV ,3D support,upgraded magic remote and voice control. All features and price of this product are unknown at this moment and will be revealed soon by LG. LG had plan for 4K resolution TV panel display at CES(Consumer Electronics Show), but unfortunately they couldn't make it and decided to go with 55-inch and 84-inch OLED TV's. 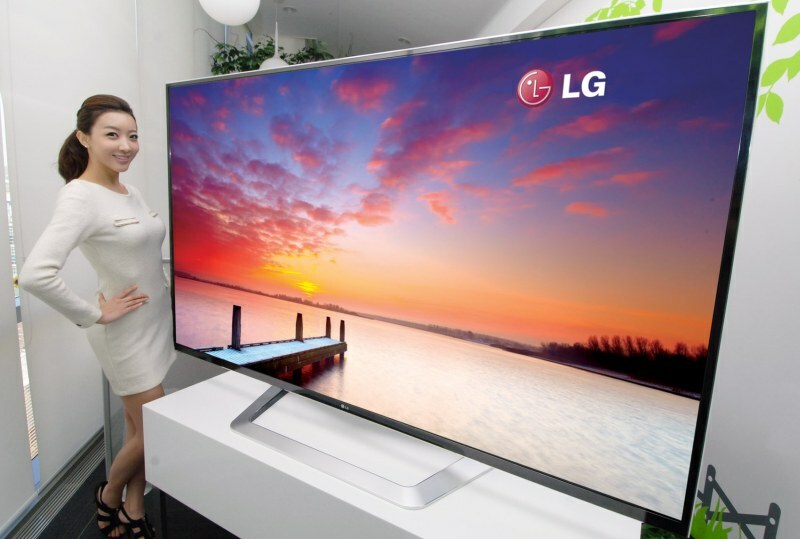 Looks TV manufacturing companies are going crazy about its inventions.As days are passing by, width of TV's are getting thinner and length is becoming wider.I am sure 84-inch is not end of the world at CES Las Vegas, LG competitors may surprise with still thinner and wider TV's. We are nearing to ultra tech life with all these ultra tech gadgets around us in our daily life.